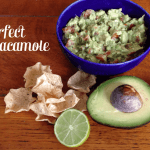 Everyone needs a simple appetizer recipe or two in their repertoire. 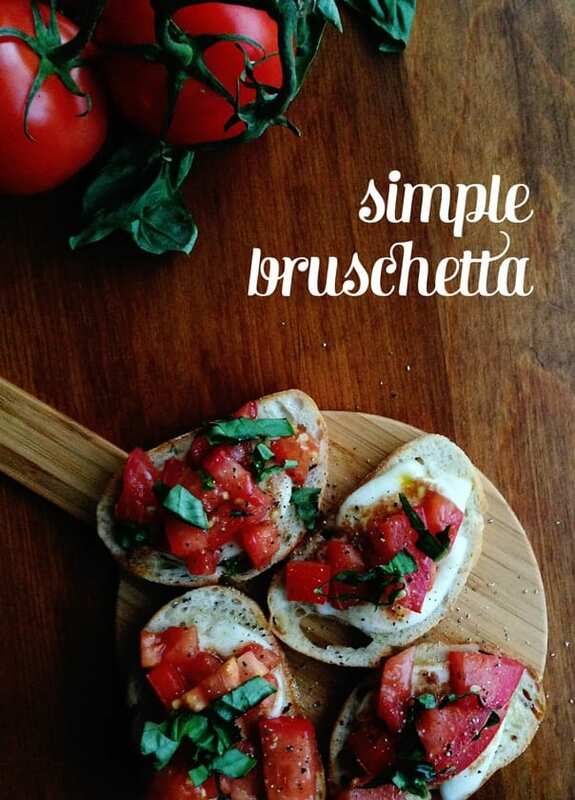 One of mine is this Simple Bruschetta. 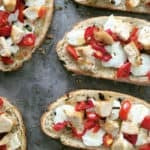 Sliced baguette, melty mozzarella cheese and fresh tomatoes toasted together with the Italian flavors of olive oil, balsamic vinegar, garlic, salt and pepper — a match always made in heaven. 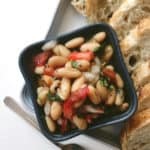 Make it for an appetizer before a meal, or serve it at a cocktail hour. It’s a relatively quick dish to put together, and you can prepare everything ahead of time then warm it just as your guests arrive. 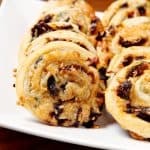 For me, a last-minute kind of person, this is exactly the kind of appetizer I like to whip up when I have people over. No muss, no fuss and happy guests. My kind of party. 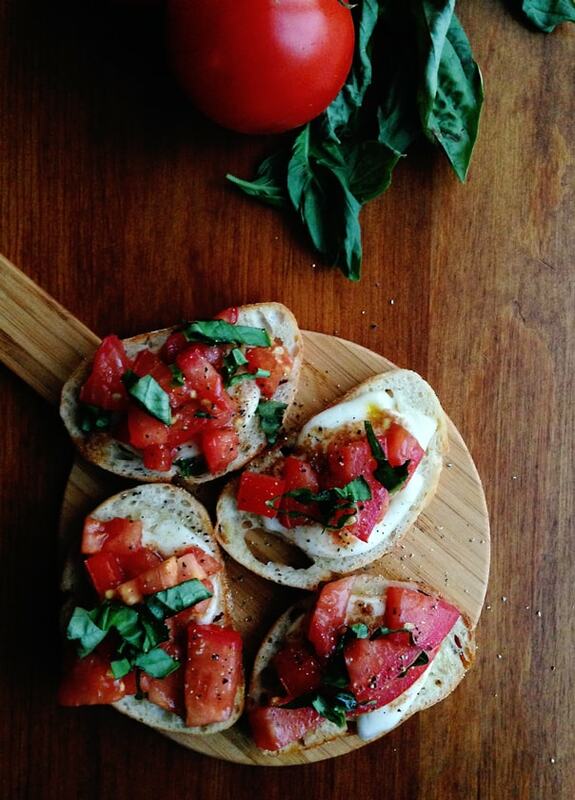 Click below to see the recipe for my Simple Bruschetta! Preheat oven to 350 degrees. Line a baking sheet with aluminum foil. Place baguette slices on the baking sheet and brush with olive oil. Bake for 10 minutes and remove from oven, leaving oven on. Meanwhile, dice tomatoes and mince garlic. In a medium bowl, stir together remaining olive oil with tomatoes, garlic, balsamic vinegar and salt. 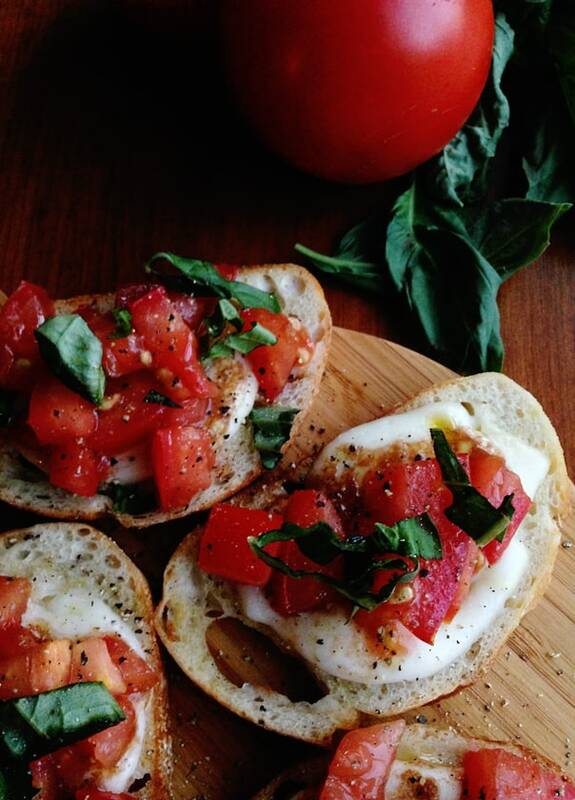 Place a slice of mozzarella on each bread slice, then top with tomato mixture. Bake for an additional 6 minutes. Remove from oven. Drizzle lightly with olive oil, top with chopped basil leaves and freshly-cracked pepper. Serve hot. 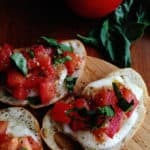 I am always a sucker for bruschetta – it’s so easy and delicious! Great photos! 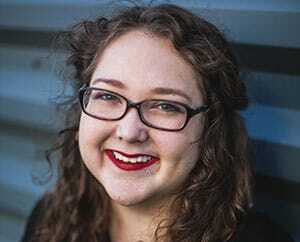 Thanks Meghan! It really, really is. Susannah, this looks so dreamy! My go-to dish is popcorn drizzled in white chocolate and tons of Oreos 🙂 It is so easy and such a crowd pleaser! Oh that sounds amazing, Amy! I must make that immediately.